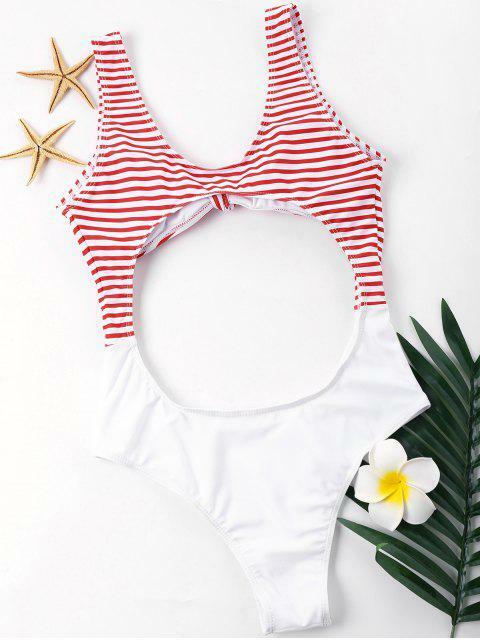 [34% OFF] 2019 Cut Out Knotted Cheeky One Piece Swimwear In WHITE | ZAFUL ..
For my first purchase I decided to get 6 bathing suit at the same time. I love all of them. True to size and looks exaclty like the pictures. These are the cutest bathing suit I have ever seen. Seems like I got a new favorite store. The quality is amazing! I ordered a medium bc usually with zaful products you need to order a size up, but this actually is too big. I should have ordered a small! I love the suit cut and color. Looks exactly like the picture. Did someone say sunshine? The promise of warm rays means you've gotta show off this sultry striped swimsuit! This one-piece swimwear features a knotted bust, a daring cutout on midriff and back, and high-cut fit. Pair it with your fave sunglasses for a nice vacay!